Here are a few more of my original Alamo sculpts in action. I still need to paint the Texans appropriate colors. 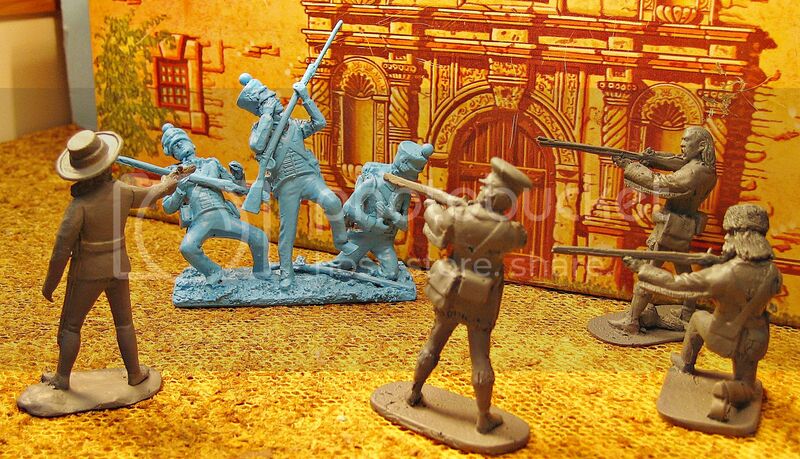 The Mexicans are painted to match Marx blue. I spruced up the base of this piece by adding modelling paste mixed with sand and tallus to it. 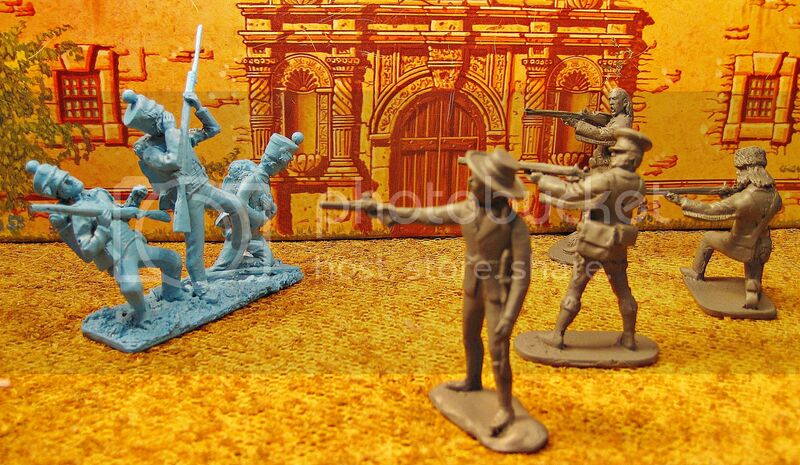 I painted it blue to match Marx Mexicans. There are a few pin holes that need filling, but nothing major. I think that this is really a unique piece. 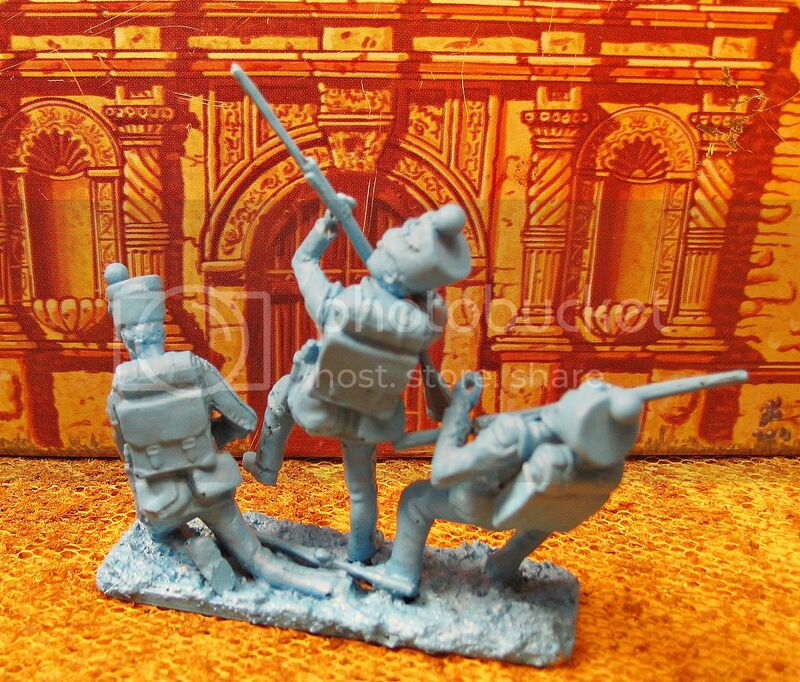 I am very happy with it and I need a few more, with some variation on the figures positions. This is exactly what I had in mind when I commissioned these bad boys, as multi part figures. I have not had this much fun with the hobby in a good long time. 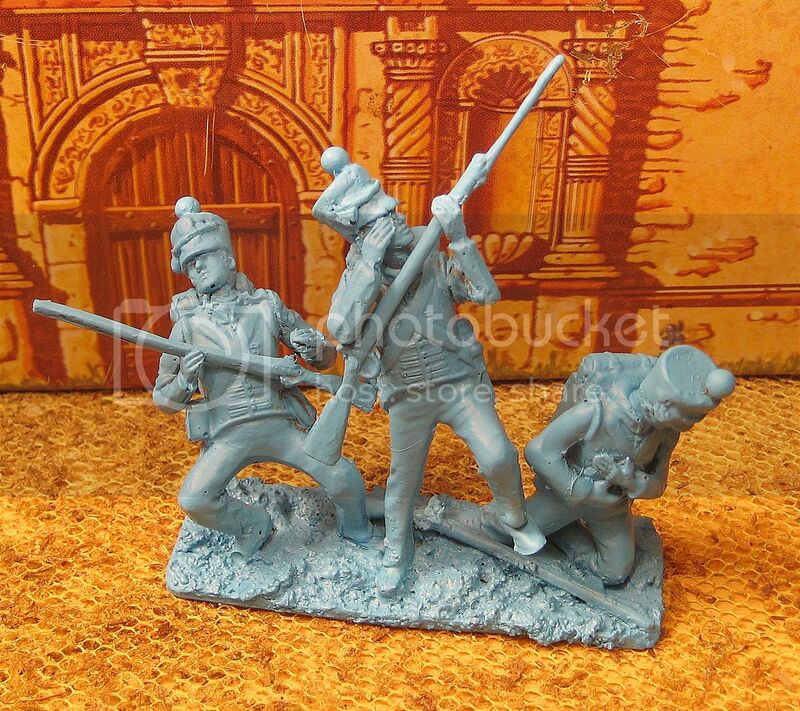 These Mexican figures appear to be British of the Peninsular War period – 1808 – 1813 – with French shako heads. 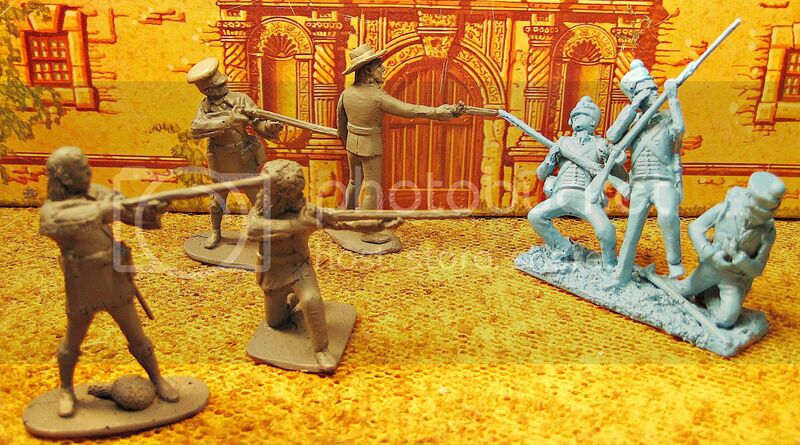 I usually see Mexican infantry of the Alamo period looking like French grenadiers of 1815. Any such uniforms for the Mexicans at the Alamo?